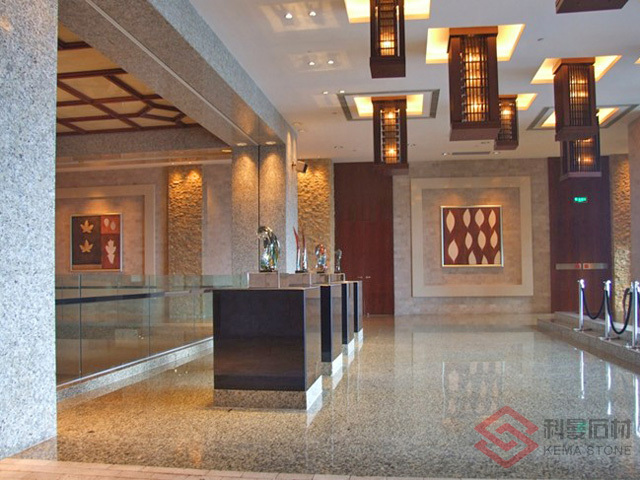 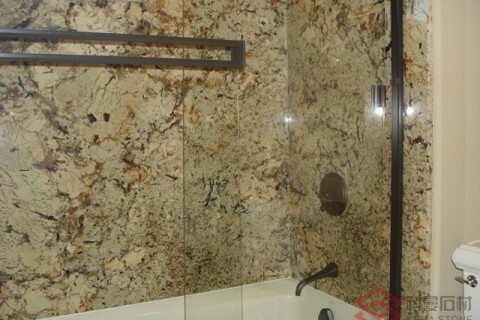 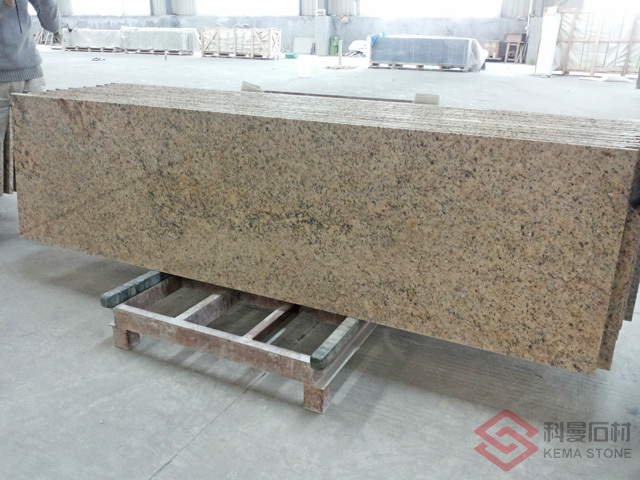 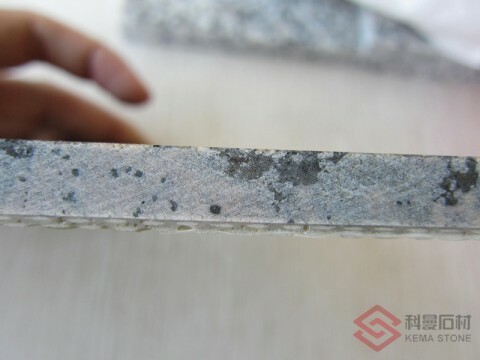 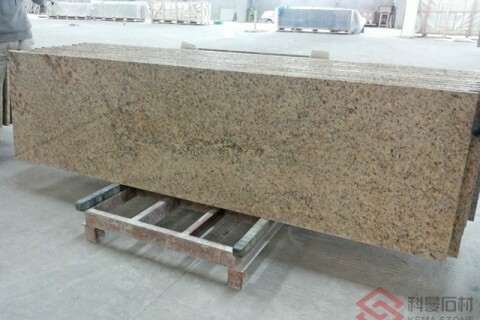 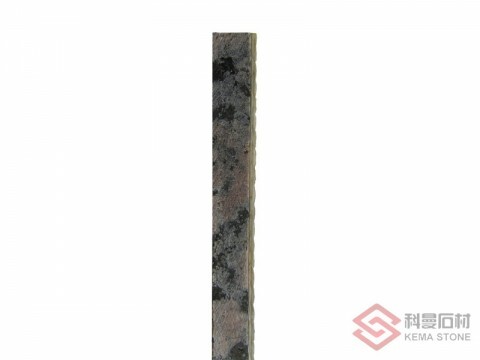 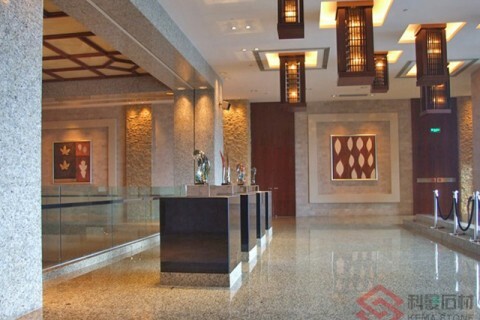 ThinSlabs is a 8mm thick slab of Granite, or other select stones with qualifying hardness factors, including 7mm granite bonded with 1mm resilient fiberglass backing, which provides significant support at less than half the weight. ThinSlabs is available in 4’*8’ (1.22m* 2.44m) and weigh 5 pounds/sq.ft (25kg/sq.m), only 2/5 weight of 2cm granite slab. 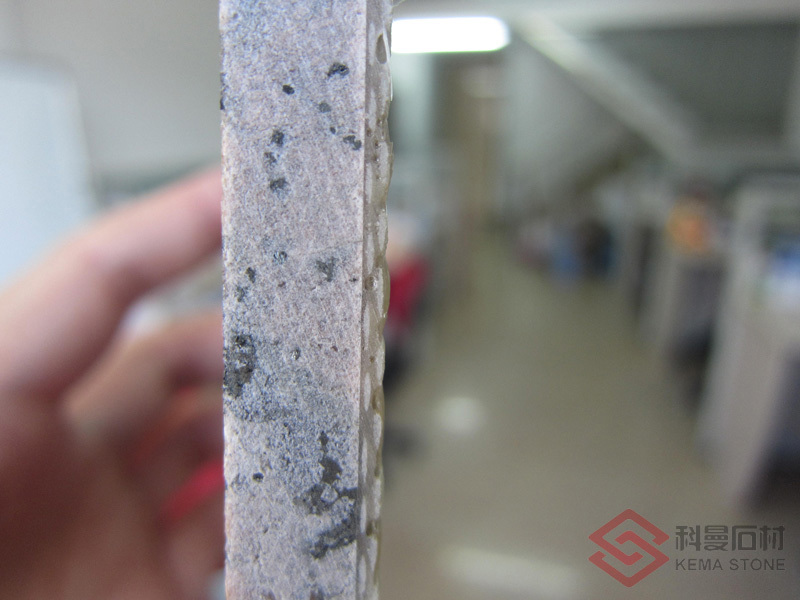 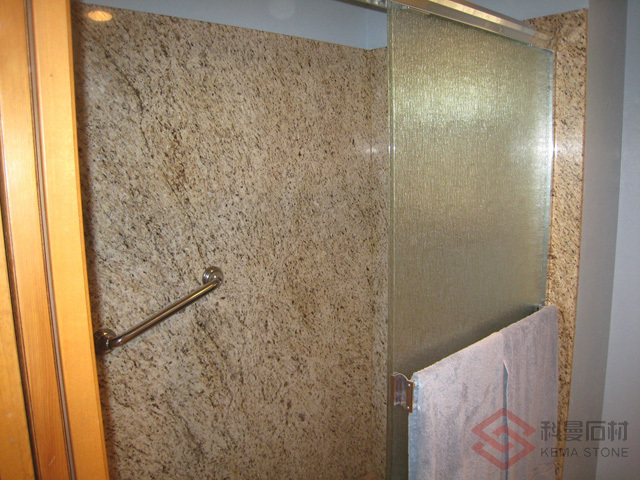 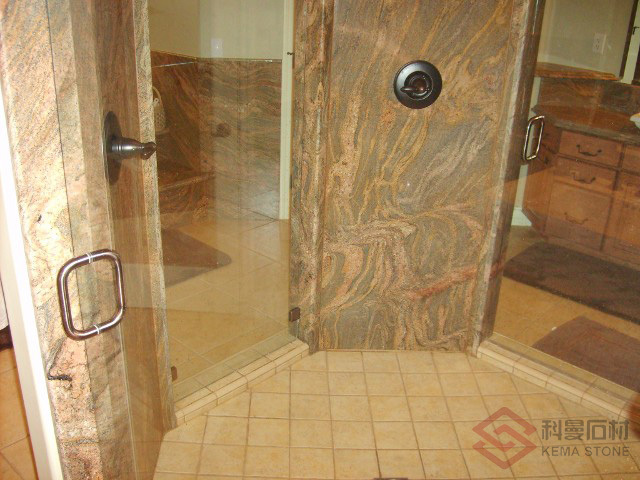 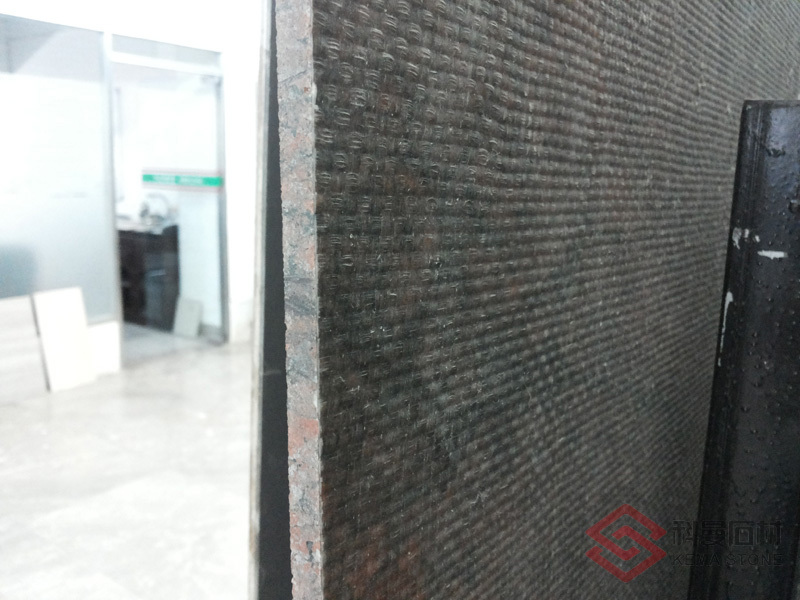 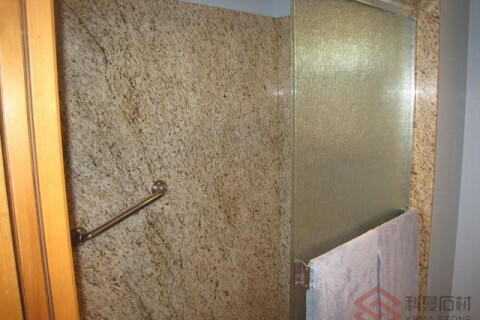 It is perfect for interior wall, elevator, ceiling, bus, boat, shower surrounds or remodeling, where profiles are exposed, providing all the benefits of full size slabs. 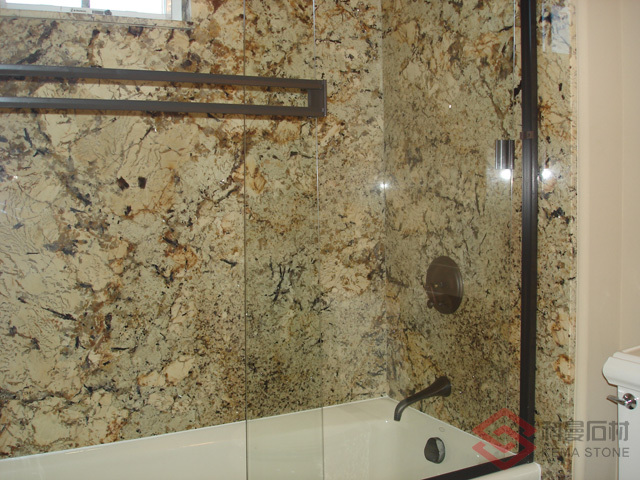 Also this product is excellent for granite countertop transformations, allowing for easy remodeling and unique installation demands. 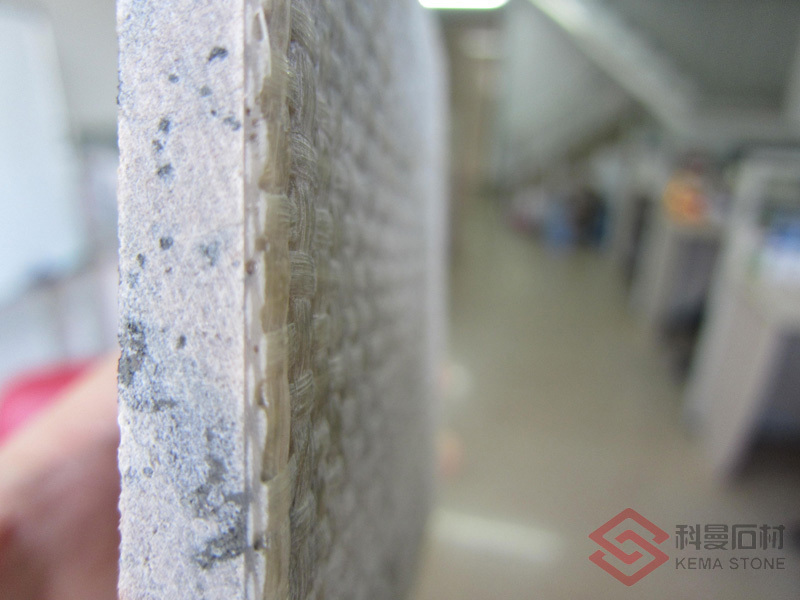 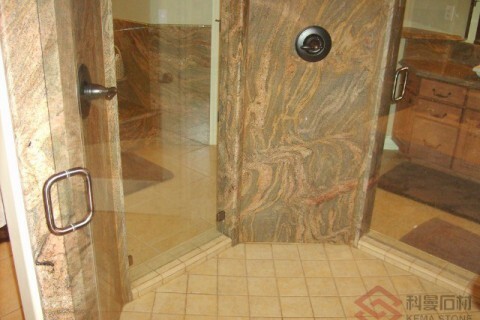 We custom cut all of the pieces for your project, or provide you with the product to shape yourself. 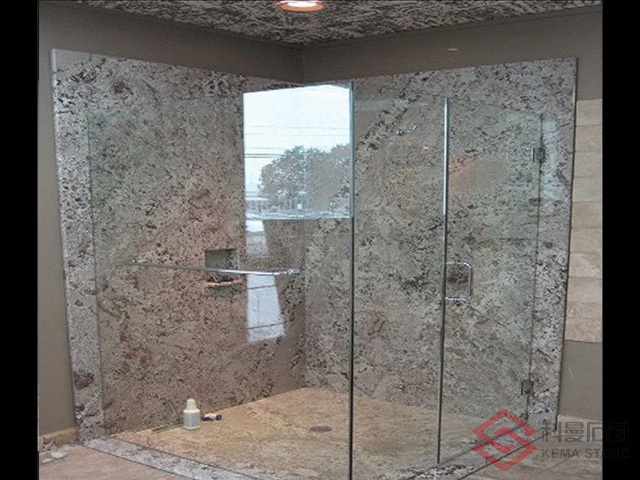 The revealed face of ThinSlabs is solid stone, without the vulnerability or interruption of grout lines that tile applications create, and without the need of structural reinforcement to install. 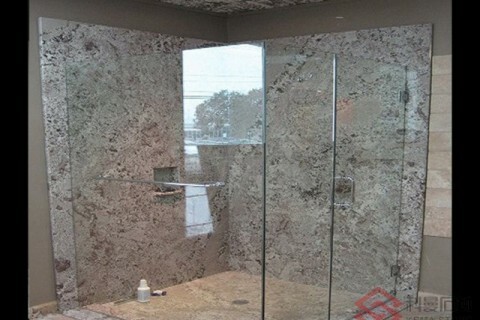 The installation of ThinSlabs is fast, providing coverage for up to almost 32 square feet per piece, making application easier than ever before and in a fraction of the time. 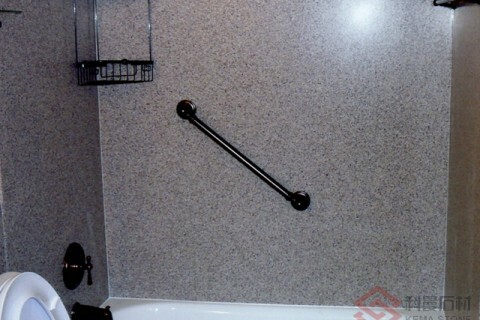 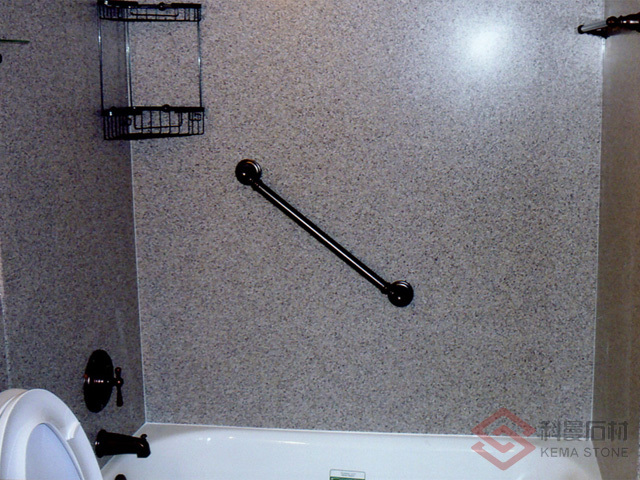 Use typical adhesives – just like tile installation ! The reduced weight of ThinSlabs contributes to a variety of environmental benefits by reducing the impact of construction and demolition, as well as reducing GHG & CO2 emissions by the significantly reduced shipping and fabrication logistics compared to standard 2cm stone slabs.